It looks awesome! :D Keep up the good work! A bit off topic, but I see now the very nice lip under your bumper...from where it's coming? Last edited by MadDog_945; 02-13-2012 at 07:51 AM.. 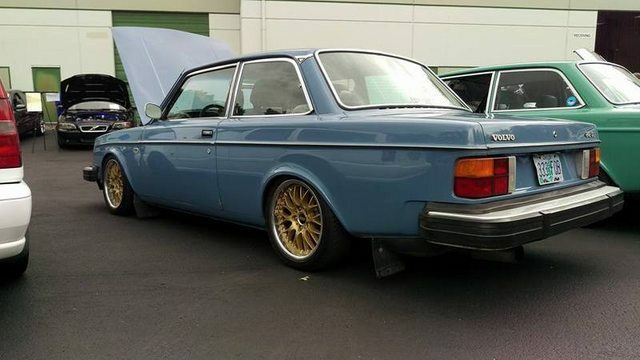 It was a pretty rare tuningpart from an Old Volvodealer Hausser which manufactured this bodykit in a small amount of 1000? Calling them doenst help.. they now sell toyotas ;) and only the retired boss knows of this..
And good luck for your engine! When will that gorgeous engine go in there? Can you remove the oil filter without removing the engine mount btw :P? And yes, i can ;) its pretty tight, though but with no problems interchangeable.. But im concerned about the filters behaviour.. hope there will be no problems regarding flow, pressure level... its off a pt cruiser 2.4 ... we'll see..
You know what im talking about ? What would you prefer in this case? wha? all that and you are using stock intake manifold? Last edited by MadDog_945; 03-19-2012 at 05:25 AM..
Wow! I'm very happy for you!!! Your vid is too short! Have you drives it? How it run? Last edited by MadDog_945; 03-19-2012 at 09:54 AM..